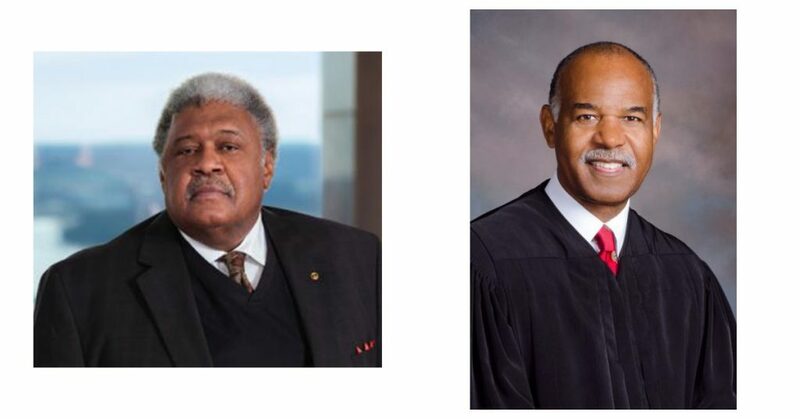 Richmond Virginia – In recognition of Black History Month, Upsilon Nu Chapter recognizes the accomplishments of two of its members, The Honorable Brother John Charles Thomas and The Honorable Brother Roger Gregory. Brothers Thomas and Gregory were initiated into the Upsilon Nu Chapter, Omega Psi Phi Fraternity Inc in 1980 and 1981 respectively. 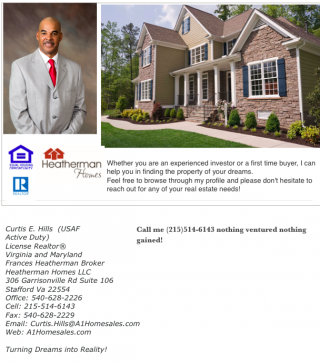 Brother John Charles Thomas is a retired former Justice of the Virginia Supreme Court. Brother Thomas is the first African American to be appointed to this position. 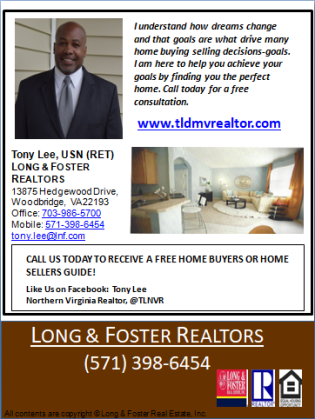 Thomas received his Bachelors and Law degrees from the University of Virginia. Brother Thomas was appointed to this position in 1983. Not only was he the first African American appointee to the Virginia Supreme Court, he was also the youngest at age 32. 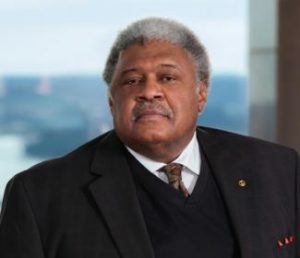 Brother Thomas retired seven years later and became the first African American law partner at Hunton and Williams, one of the South’s most prestigious Law Firms. Brother Roger Gregory currently serves as the Chief United States Circuit Judge of the United States, serving the 4th Circuit. 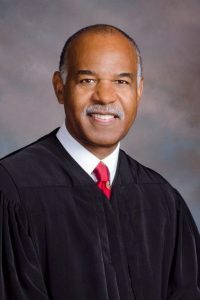 Gregory, a native of Philadelphia Pennsylvania received his undergraduate education at Virginia State University in 1975 and his Law degree from University of Michigan Law School in 1978. In 1982 Brother Gregory served as an associate partner with Wilder and Gregory, a law firm with the Honorable Brother L. Douglas Wilder. Brother Wilder would later become the first African American Governor since reconstruction. Brother Gregory also served as Rector at Virginia Commonwealth University and served on the Board of Visitors at Virginia State University. Brother Gregory was nominated as the First African American to serve on the 4th Circuit Court of Appeals in 2000 by then President Bill Clinton. Gregory was confirmed by President George W. Bush in 2001. Richmond, Virginia, Friday, March 1,2019. Upsilon Nu Chapter joined other groups and neighbors in the Read Across America program. The Brothers of Upsilon Nu selected Highland Springs Elementary School as the location for their participation. We have formed a relationship Highland Springs, so it became an easy choice for us from the many requests we received, stated Social Action Chairman Brother James Hunter. Next year we plan to expand our participation to several more schools as we celebrate the birthday of Dr. Seuss. 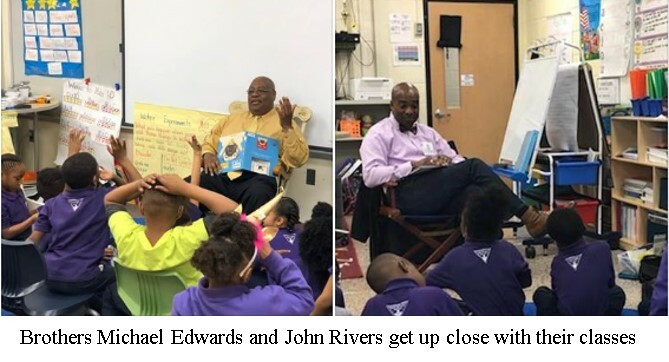 For those not familiar with the program, the National Education Association's (NEA) Read Across America is an annual reading motivation and awareness program that calls for every child in every community to celebrate reading. In cities and towns across the nation, teachers, teenagers, librarians, politicians, actors, athletes, parents, grandparents, and others develop NEA's Read Across America activities to bring reading excitement to children of all ages. Governors, mayors, and other elected officials recognize the role reading plays in their communities with proclamations and floor statements. It is an amazing experience for me reading to the first-grade class. They were transfixed on me from the moment I sat down with my assigned book, “Pig the Winner” by Aaron Blakey. The kids were seated around me and I asked each of them to give me their name and then I introduced myself. 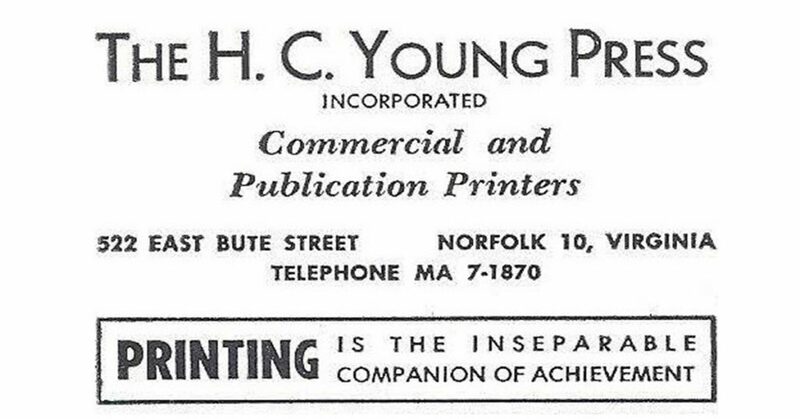 As they introduced themselves, I thought to myself, wow, was I ever that young. I made it a point to stop during the reading and asked them questions about what I had read, the hands went up quickly and each student was heard. 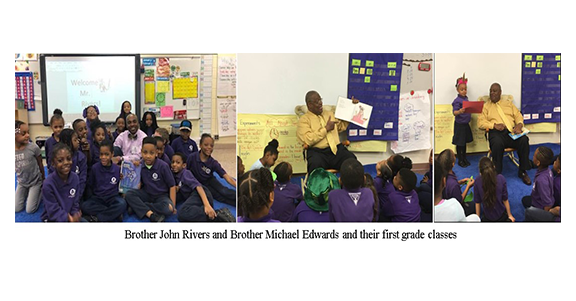 Brother John Rivers, also read to a first-grade class as well. His assigned book was “Rainbow Fish”. He also thought the experience was amazing. When he finished, he had the class discuss lessons learned from the book. he read. Though the books we read were not that long, we found ourselves engaged with our classes for over an hour. The teachers were very gracious and let us continue to interact with the kids. Each student was encouraged to speak about the books and were very enthusiastic. 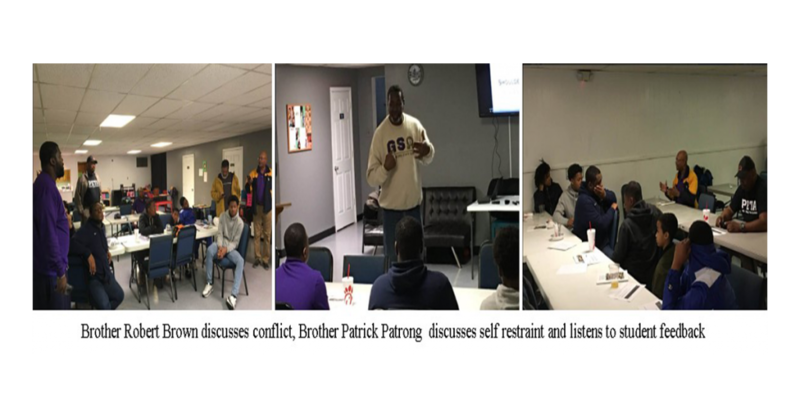 Richmond, Virginia, Saturday February 23, 2019, Upsilon Nu Youth Academy hosted its Conflict Resolution and Black History session. Brother Don Bentley led a session on conflict resolution. 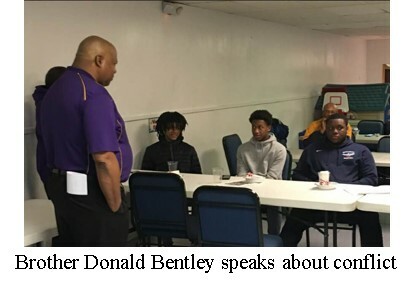 Brother Bentley’s presentation to the students was derived on multiple levels. Level one: Conflict at school, level two: Social conflict and level three: Conflict at home. Brother Bentley engaged the students to talk about conflicts they have encountered, when and where it took placed. The students talked about how they have experienced conflict at school with their teachers and classmates and how they have dealt with those situations. In some cases, they have responded back and it has caused issues with negative outcomes and in some cases, they have just shut down within the class environment. The social conflict has been mainly with peers and in some cases even their friends. Brother Bentley asked them how they coped with the conflict and if they could have handled the conflict differently. The students gave examples and how they handled the conflicts. In some cases, they thought they did the right thing and in other cases could have responded differently. The students discussed conflicts they have had at home and how they coped with family members. Those conflicts were more personal because as some of the students stated, you can’t win because their parents have all the control, so they just go along and do what their told. Brother Michael Edwards led the session on Black History. He started with video on the origin of Black History Month. The video focused on Dr. Carter G. Woodson, his life story and how he dedicated his life to the study and documentation of black life in America. The students took notes and there was a conversation about Dr. Woodson. Brother Edwards led several role-playing sessions on the movement of Africans throughout the world. The students were given an information package with a series of questions about the contributions of African-Americans to American life. Part of the program included the students taking the information package home to share with their family, compile the answers and bring the answers back at the next session. Program Chairman Brother Patrick Patrong led the online Black History contest, which really engaged the students and was very fun filled while being very informative. The students were divided into two teams including the mentors that were present and the friendly competition began. The students really got into the contest and learned more about their story. 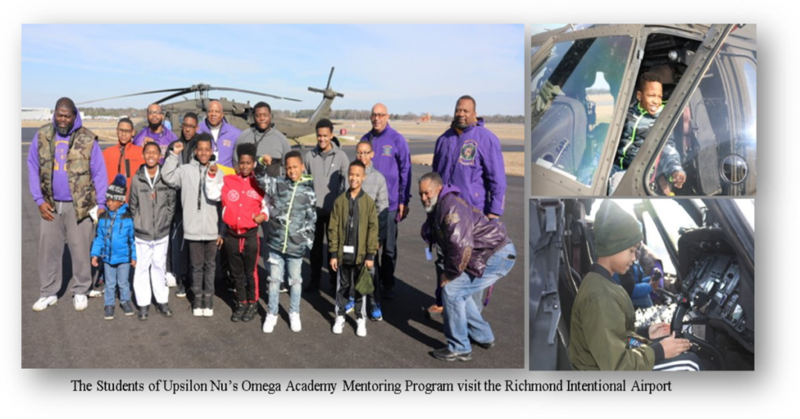 Sandston, Virginia Saturday February 2, 2019, Upsilon Nu Omega Academy Mentoring program, was in full session with aviation. Program Chairman Brother Patrick Patrong and members of the committee and other chapter brothers, took the mentees to Richmond International Airport. Richmond International Airport is a joint civil-military public airport about 7 miles southeast of downtown Richmond. One of the modules of the mentoring program is to introduce the kids to types of careers they may have not thought about and hopefully spark interest. The students were the first group to be part of the inaugural program, where the Richmond Airport provides tours of the facility. The students got change to actually see a Black Hawk helicopter maneuver and land. They were able to go aboard and strap in while being given a presentation on the helicopter and some of its capabilities. I was excited as much as the kids, when I saw the Black Hawk come flying in, it was really cool, stated Brother Donald Bentley. There was an added treat for the students, they got to sit in the Black Hawk and touch the controls of one of the most powerful air vehicles in the world. Members of the staff welcomed the kids and they were briefed about our mentoring program, which delighted them. During sessions the staff stressed to the kids the importance of school and the opportunities that can be available if they are prepared. The students asked them questions about how much flying does the staff do and how did they learned to fly. One of the staff Mr. Charles Woodson told the students he used to be afraid of heights, but when he traveled with his family he always wanted to sit by the window and look at the clouds. This brought a laugh from the students. Mr. Woodson told the kids that the Black Hawk cost $5.9 million to build and named after the Native American war leader Black Hawk. The students got really excited about the opportunity to fly some of the drones and see how they were assembled. This trip is one of the many the students will have during the mentoring program. Richmond, Virginia Saturday February 2, 2019, Upsilon Nu chapter came out to support and serve as judges for the Delta’s 29th Annual Oratory Contest. The competition drew over two hundred students who participated in the competition. With the supporters and family members the gym was standing room only. Since its inception, thousands of students have competed. The theme this year was Listen: To a New Generation: Our Future Speaks. 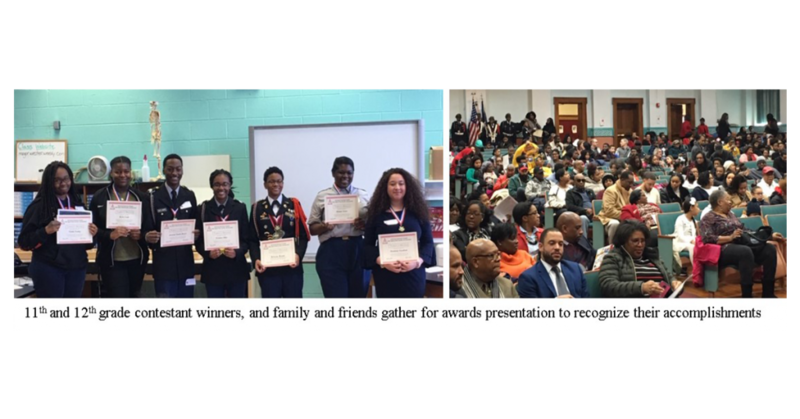 This annual contest provided students with an opportunity to develop and receive recognition for their public speaking skills. Contestants were judged based on a set of criteria that measured their creativity, demonstration of intellectual thinking, and positive expression in an original written and oral presentation of the annual theme. 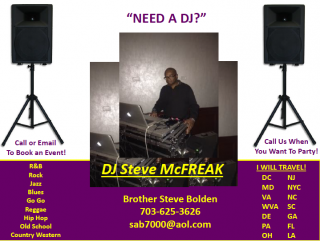 Upsilon Nu has become a supporter of the annual event. It is a part of the Social Action Committees programming. Ms. Vanessa Evans, Vice President for Membership Services, worked with Brother Michael Edwards to outline the nature of the partnership. The Annual Oratorical Contest was presented to Social Action Chairman, Brother James Hunter, and his committee for approval. It was wonderful to watch these young people as they lined up in the hallways practicing their presentations. There was a buzz throughout Franklin Military Academy, as the classrooms filled up with excited contestants. I was really impressed by the numbers of schools that attended the event and the enthusiasm shown by the contestants. “We look forward to supporting this event and extending our relationship with this effort,” stated Brother George Goldsborough. The contestants are judged on several categories, such as Originality of the body of work, Delivery, Poise, Interpretation and Eye Contact, to name a few. “This year I was one of the judges for the 11th through 12th grade students from the various schools. I must say, the students came prepared and ready to compete. “You can tell that someone has been putting in long hours with these students; their performances were at a very high level,” stated Brother. Michael Edwards. Richmond, Virginia, November 17,2018. Upsilon Nu Chapter Achievement Week Program. Brother Freager Sanders was the recipient of Upsilon Nu’s Omega Man of the Year award. Brother Sanders not only exemplified the spirit of our four cardinal principles, Manhood, Scholarship, Perseverance and Uplift, he backed it up with service to the chapter and to the community. Brother Sanders was the driving force behind the successful Relay for Life campaign, his effort was the main reason Upsilon Nu was a leader in fundraising for the event. He was recognized by the Relay for Life coordinator for his fundraising skills. Omega says, the Brother who has made significant contributions to his Chapter, his District and on the International level of the Fraternity. He should also be one who has made significant contributions to his community. Additionally, he must have served in a manner above and beyond the ordinary participation levels necessary to implement programs and projects. He should be involved in leadership roles regarding the organization, planning and implementation of programs and projects. For one shining year Brother Freager Sanders, checked all the boxes. Congratulations our Brother from Upsilon Nu. RICHMOND, Virginia, Saturday and Sunday, October 27- 28, 2018, Upsilon Nu Chapter partnered with Sportable - Richmond Adaptive Sports & Recreation of Richmond for the 1st Annual Sportable Spooktacular wheelchair basketball tournament. The tournament is a junior wheelchair basketball tournament sanctioned by the National Wheelchair Basketball Association. It featured 6 Varsity Teams (ages 14-21) and 4 Prep Teams (ages 13 & under) from around the country including Richmond's own Sportable Spokes! Some of the biggest take aways from this event included helping participants get out into their communities, be active and make friends regardless of their disabilities. This event also kicks off the beginning of the team’s seasons. 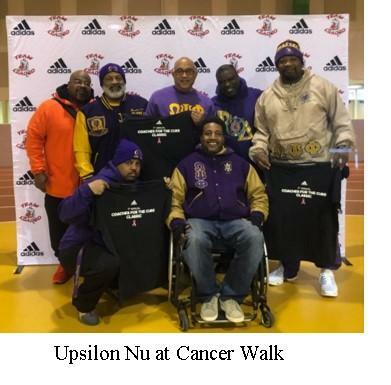 Members of the Upsilon Nu Chapter of Omega Psi Phi Fraternity, served as volunteers, assisting with the breaking down equipment, cleanup of the facility and helping participating athletes with loading equipment into vehicles. "I want to thank you and the rest of the Upsilon Nu Chapter of Omega Psi Phi Fraternity so much for volunteering for the Sportable Spooktacular Wheelchair Basketball Tournament! This tournament is the kick-off event to most wheelchair basketball teams' seasons and it is very important”, stated Kelli Buhrdorf, Program Associate. Alecia McConnell, Athletic Director stated, “I did not know that fraternities continued to be involved in community activities after college. We appreciate your help I think it’s so cool that you guys do that”. Sportable is a non-profit in Richmond, Virginia, dedicated to providing adaptive sport and recreation opportunities, events, & competitions. Helping to break down barriers one sport at a time!! The game brings out the competitiveness in all the players, the play is physical and constant movement back and forth at a very fast pace, the players are bumping, shooting and blocking shots. RICHMOND, Virginia, Sunday October 28, 2018, Upsilon Nu Chapter partnered with the Richmond chapter of the NAACP to be a sponsor in the “Crab and Que”, Get Out the Vote Rally and Motorcade. The event is dubbed “JJ’s Crab & Q” for the branch president, James E. “J.J.” Minor III. The purpose of the rally is to rev up interest in the Southside section of the City of Richmond to get out and vote in the November 6, 2018 election. Members of Upsilon Nu and other sponsors of the event met at the Southside Plaza to line up in the motorcade, which then preceded to several neighborhoods in Richmond. There was horn blowing and interaction as the motorcade made its way through the city. Members of the community came out of their homes and apartments and screamed and shouted words of encouragement to the steady chant from the drivers “Vote, Vote, Vote”. The motorcade ended its parade in Church Hill where the rally was held. 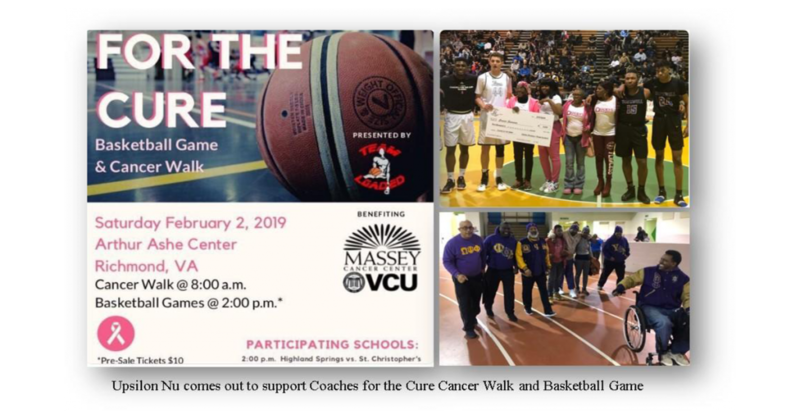 The scores in attendance were served crab and bbq along with hotdogs and hamburgers, music and speeches from dignitaries such as the Mayor of the City of Richmond, members of the Richmond Council, the President of the Board of Education, and the President of the Richmond NAACP. The resounding theme was Get Out and Vote and take someone with you, don’t vote alone. “Miss Community Clovia”, Clovia Lawrence lead the motorcade a long-time partner of Upsilon Nu commended Upsilon Nu for its continued support of voter registration and active civic involvement. Bro. Theodore Braggs Jr. the VREM Chairman/Third District Subcommittee, organized the Upsilon Nu involvement with the event. As part of his duties Bro. Braggs has organize several voter registration efforts during the year, most recently at the National Night Out event. Glen Allen, VA – Saturday, August 4, 2018, the Upsilon Nu Scholarship and Social Action (UNSSAF) facilitated the Charles W. Finley Memorial Training. The session was designed to provide learning opportunities to the members of the Upsilon Nu Chapter of Omega Psi Phi Fraternity, Inc. The genesis of the train is circa 2012 when Basileus Franklin Dunn surveyed the Chapter and found that the top opportunity identified to improve the overall efficiency and effectiveness of the chapter was to provide training. Based on this defined need, Brother Freager Sanders pulled together resources and held the first Chapter Retreat. This is now an annual event and was named “Charles W. Finley Memorial Training” in memory of a founding father of the Chapter that had a passion for education and uplift. 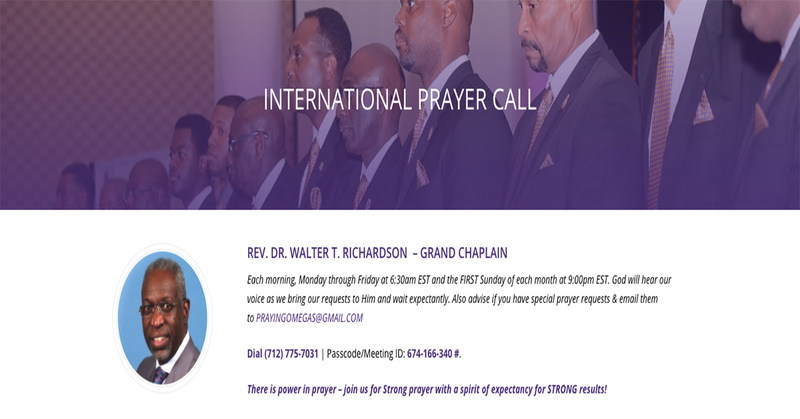 Topics covered a broad spectrum that included fraternal knowledge, personal health, personal life management, emergency preparedness, effective committee leadership and spiritual enhancement. Over 30 Brothers attended the interactive session. Brother Freager Sanders, UNSSAF Chairman and overall coordinator of the session relayed, “Knowledge is key to success in your life. We developed the training agenda to give the Chapter an opportunity to learn about multiple topics and to highlight the areas of expertise that Brothers in the Chapter possess. We consider ourselves the “best of the best” and the only way to maintain that position is to always be in position to share and receive knowledge”. Post the training; the attendees attended a Fellowship Cookout at the home of Brother Darryl Exum. Food, paraphernalia swap, discussions about the current state of affairs in the Fraternity and the community, as well as stories from years gone by were shared. Brother Jeffery Tarpley said, “This was excellent. We are getting better every year”!